Historical Marker #2249 in Nelson County notes the location of free man of color Ham Brown’s residence, which was formerly a slave quarters. Ham Brown appears in the historical record on several occasions. He and his wife, Adeline, are listed in the 1870 census. At that time, Brown was described as a forty-five year old shoemaker and Adeline as a thirty-six year old housekeeper. Brown owned real estate and personal property. In their household were seven children ranging in ages from sixteen years to five months. Two of the children, Charles and Ham (Jr.), were listed as "at school." Also counted in the household were two young men, Charles Harris, a school teacher, age twenty-five, and Frederick Minor, a shoemaker, age twenty-three. Minor was likely an apprentice under Ham Brown. In 1900, Ham Brown was listed as still living in Nelson County. He was seventy-three at that time and Adeline was noted as being seventy-four. Also living in the household was son Charles, a thirty-four year old day laborer, and grandson Charles, age fourteen, listed as "at school." Of the four, only grandson Charles appears to have been literate. Finally, Ham Brown’s death was recorded as October 18, 1906. He was eighty-six years old according to his death certificate and the cause of death was listed as "Cold Ague." The names of his father and mother were not known, but he apparently lived his whole life in Nelson County. Although Brown was a free man before the Civil War, his home in Bloomfield had formerly been a slave quarters. 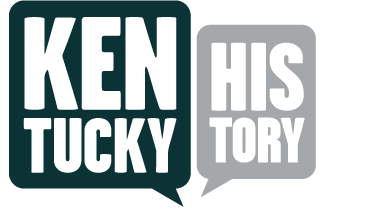 Slave quarters varied greatly in Kentucky due to many factors, including location, building materials, number of slaves owned, and the owner’s socioeconomic status. 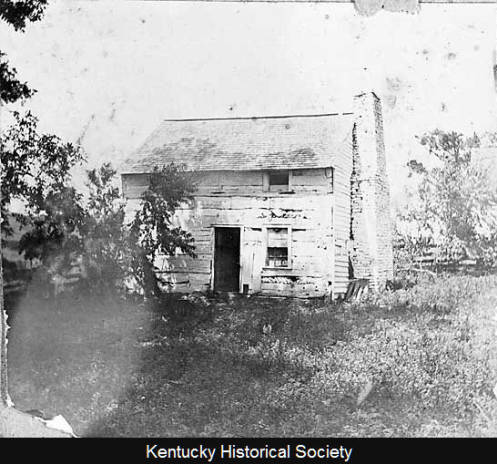 Urban slave quarters in Kentucky’s towns and cities were often brick two-story buildings due to space limitations. Slave quarters on rural plantations and farms were diverse. Some were constructed from timbers felled on the property, while others were stone or brick structures. Depending on the size of the owner’s enslaved population, the number of quarters on a farm varied. Some owners chose to construct multi-family duplex and triplex lodgings. The building materials used also often depended on the owner’s wealth. 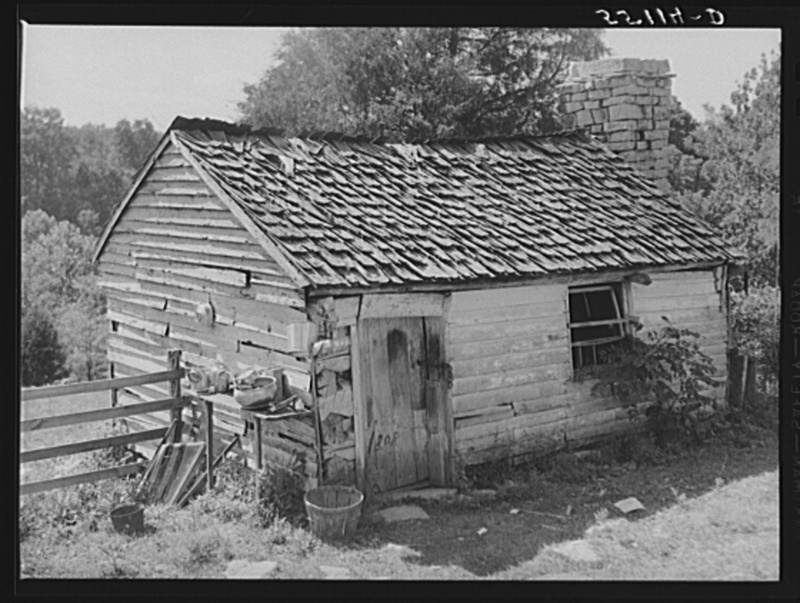 More prosperous owners often incorporated brick or stone into their structures, while those less well off made due with log cabin-type structures. 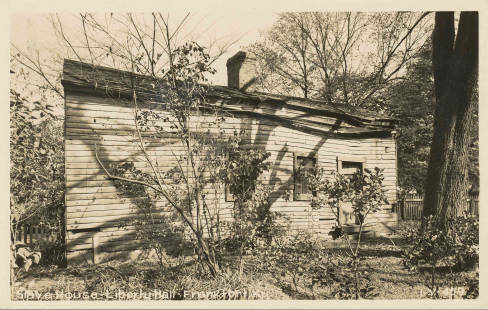 Ham Brown Cabin: This photograph shows the Ham Brown cabin before moving and restoration. Photograph courtesy of Linda Bruckheimer. Slave Quarters: A brick triplex served as the lodging structure for slaves on "The Grange" farm in Bourbon County. Courtesy of the Library of Congress. 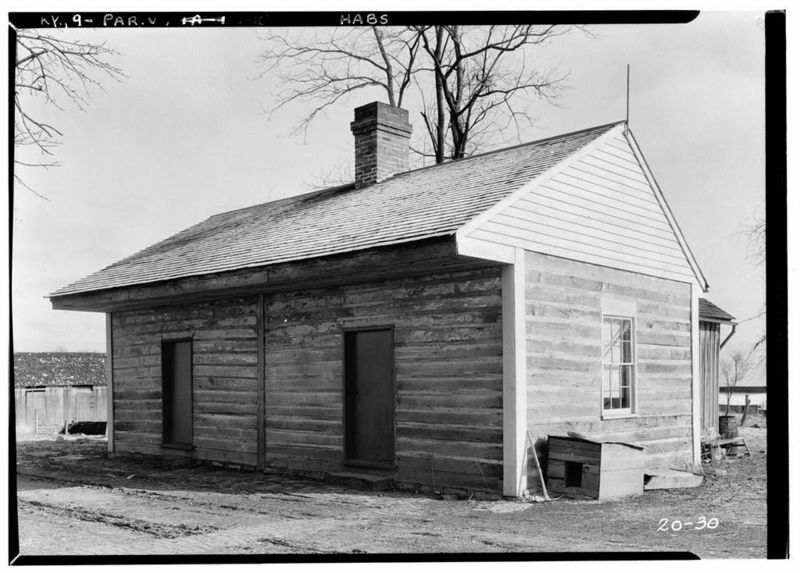 Slave Quarters: This early 20th century photograph shows the slave quarters located at Liberty Hall in Frankfort, Kentucky. Courtesy of the Kentucky Historical Society. 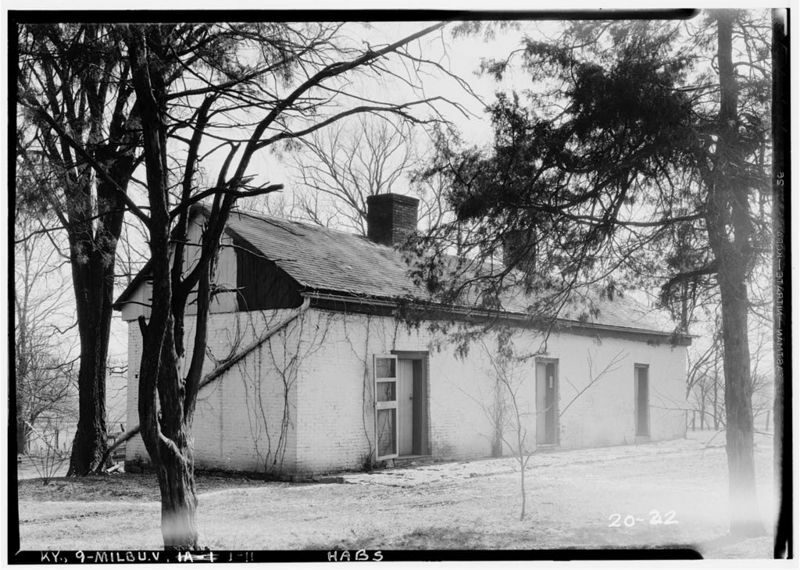 Slave Quarters: This late 19th century photograph shows a slave quarters in Mason County, Kentucky. Courtesy of the Kentucky Historical Society. Slave Quarters: This duplex log slave quarters shared a central chimney. It was located at the "Mount Lebanon" farm, the home of Governor James Garrard in Bourbon County. Courtesy of the Library of Congress. Slave Quarters: This single-level clapboard building was likely originally a log structure that was covered over. It was located on a farm in Nelson County. Courtesy of the Library of Congress. 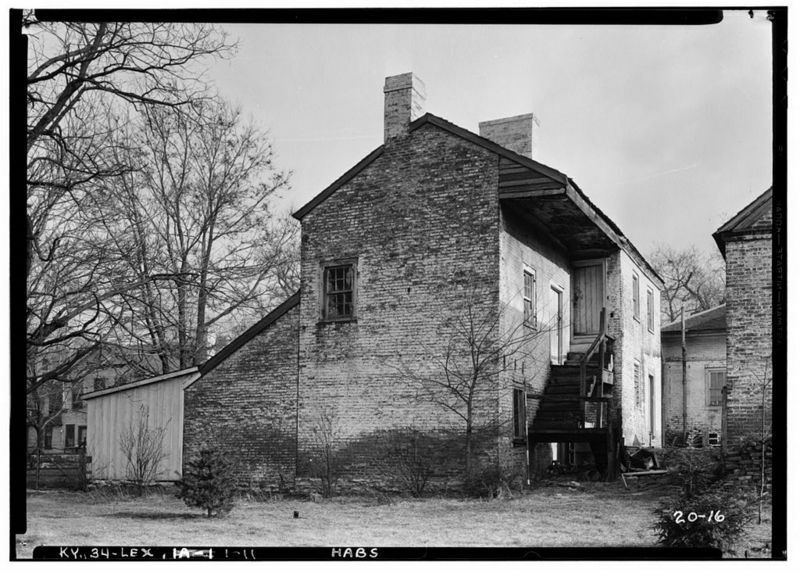 Slave Quarters: This two-story slave quarters is a good example of urban slave quarters. It was located at "Rose Hill" in Lexington, Kentucky, and owned by John Brand, a hemp manufacturer. Courtesy of the Library of Congress. 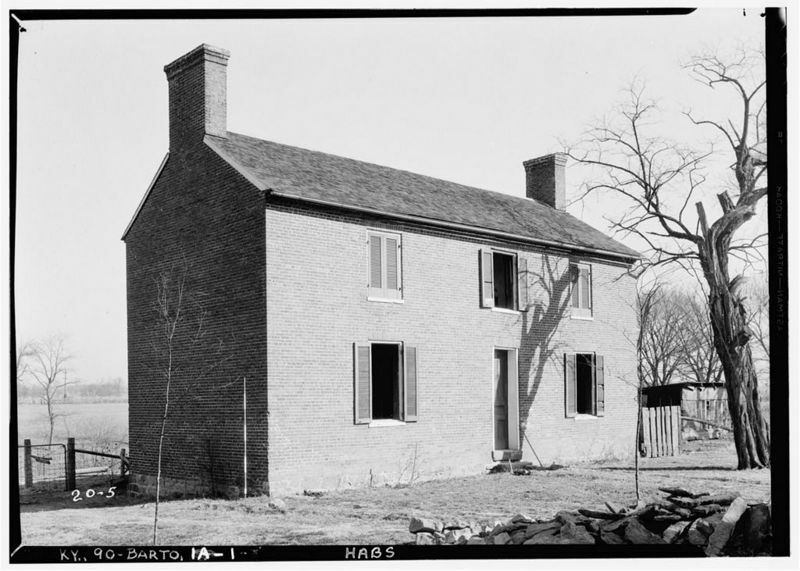 Slave Quarters: This two-story brick slave quarters was located at "Wickland" the home of Governor Charles Wickliffe in Bardstown, Kentucky. Courtesy of the Library of Congress. 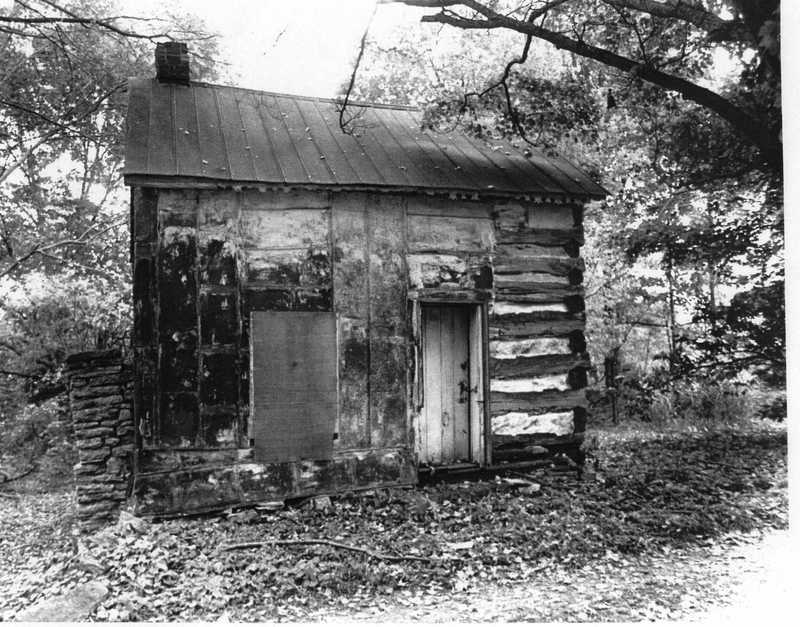 Tim Talbott, “Ham Brown Log Cabin,” ExploreKYHistory, accessed April 22, 2019, https://explorekyhistory.ky.gov/items/show/274.